X-Men to film at McGill; Caitlyn Jenner Montreal bound? Hollywood North is back! Those of us who travel to the United States are clearly not pleased with our sinking Canadian dollar, now at about 75 cents compared to the American buck, but it is bringing lots of movie shoots and stars here. X-Men: Apocalypse, part of the iconic series of movies, is back filming in Montreal. Sources tell me that shooting will take place in the prestigious arts building on the McGill campus beginning next Tuesday with McGill standing for the Pentagon. Quantico, expected to be a big hit show on ABC this fall, is filming in Sherbrooke. It centers on a group of young FBI recruits, all with specific reasons for joining, who battle their way through training at the Quantico base in Virginia. As the show intercuts between their hidden pasts and their present training, it also flashes forward to the near future, where one of the recruits will turn out to be a sleeper terrorist responsible for the most devastating terrorist attack on U.S. soil since 9/11. Kanye West was in Montreal this week for a business meeting related to his clothing line. He was seen signing autographs in Westmount. 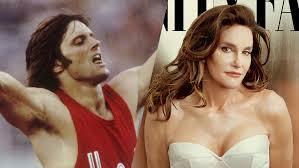 We also hear word that Caitlyn Jenner, who as Bruce won the Olympic decathalon here in 1976, will be here next week on the occasion of Fierté Montréal (Gay Pride Festival). The world`s most prominent transgender personality will reportedly stay here for a week and be part of her daughter Kylie`s 18th birthday bash at Beachclub in Pointe-Calumet on August 16. Camp Simcha, an overnight summer camp in Glen Spey, New York, is designed to meet the medical and social needs of children and teens with cancer and other serious illnesses. Via its annual two-day Bike4Chai fundraiser participants travel 180 miles through mountain ranges and scenic roads to the actual camp in Glen Spey, N.Y. and obtain pledges. Following the sixth edition last week, some $5 million has been raised for this flagship program of Chai Lifeline, a national organization that services families of children with cancer and other life-threatening illnesses. Stu Guttman, the executive director of Donald Berman Chai Lifeline in Montreal, reports that 10 local cyclists aged 25 to 55, raised more than $300,000. They are: Avi Ickkovits, Warren Roll, Shuly Vorhand, Morty Stern, Michael Fischer, Allan Rosen, Eli Bernholtz, Andrew Friedman, Leon Steinberg, Arie Reingott. 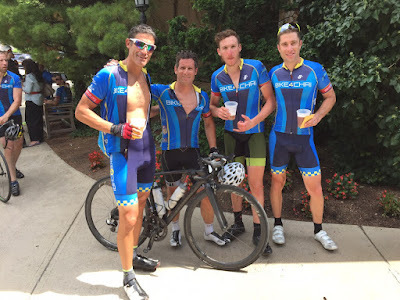 Ickovits, Roll, Stern and Reingott actually made their way from Montreal to the starting point in Connecticut by bike. two participants who have competed in the Tour de France. The idea for the ride was conceived by Chai Lifeline volunteer Dovid Egert, who raised $10,000 in sponsorships for biking 135 miles from his Lakewood, NJ home to Camp Simcha in 2009. His ride enabled seriously ill children to attend Camp Simcha that summer. The next year, the lone rider was joined by 39 others, kicking off the Bike4Chai annual event. Every year, experienced and novice bicyclists from around the world pedal their way through three states — New Jersey, Pennsylvania and New York — to raise funds for the camp. Roll was the newest addition to the Montreal team. In the span of two months he was able to not only raise over $100,000 himself, but train to participate. Readers might remember Warren and more specifically, his daughter Jayden, from her battle with cancer and the search for a stem cell donor. “Thankfully, Jayden is doing well and is in remission,” says Guttman. “Warren undertook this race as a way to give back to our organization.” Iczkovits raised $111,000 and the others between $2,800 and $12,000.